Set in mysterious Ancient Egypt, Assassin’s Creed Origins is a new beginning. Experience a new way to fight while exploring the great pyramids and hidden tombs across the country of Ancient Egypt. Live emotional and memorable adventures along your journey and discover the origin story of the Assassin’s Brotherhood. Uncover lost tombs, explore the pyramids, and discover the secrets of mummies, the gods, and the last pharaohs. Start here, at the very beginning, with the never before told origin story of Assassin’s Creed. You are Bayek, a protector of Egypt whose personal story will lead to the creation of the Assassin’s Brotherhood. Experience a completely new way to fight as you loot and use over one hundred weapons with different characteristics and rarities. Enjoy deep RPG progression mechanics, choose your preferred abilities and challenge your skills against unique and powerful bosses. 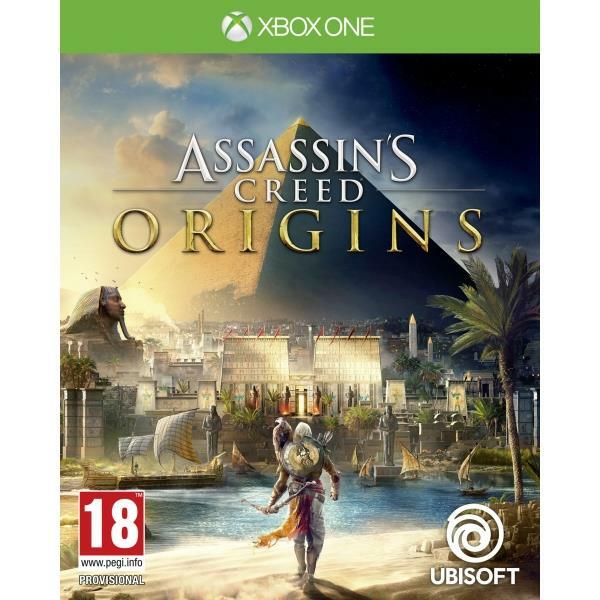 The Ubisoft Assassins Creed Origins Xbox One Game was added to the Xbox One Games category in September 2017. The lowest price GetPrice has found for the Ubisoft Assassins Creed Origins Xbox One Game in Australia is $40.16 from Amazon AU.